It was a packed day at Facebook’s F8 event, and the keynote did not disappoint. In this post we are going to go over every important piece of news that the company announced, all in one place. The day started, oddly enough, with a comedy introduction by Andy Samberg pretending to be Mark Zuckerberg. He joked that Facebook no longer counted its users, because it had so many that it no longer cared. The audience was relieved to know that after being delayed for some time, that Facebook wanted to assuage their annoyed minds by wasting a touch more of their time. The awkward presentation garnered negative reviews. Early in the keynote, it was revealed that half a billion people used Facebook in a single recent day. Not in a month mind you, but 500 million people in one day. Now, let’s get into the specifics. Facebook announced ‘Timeline‘ today, what it calls the ‘story of your life.’ It contains three main components: ‘All your stories, all your apps, and a new way to express who you are.’ It is a single scrolling page that contains much of your Facebook existence, chronicling what you have done. Timeline contains an algorithm that summarizes your content based on two parameters: how important something was, and how long ago it occurred. In Timeline, your most recent actions are given a higher priority, so that as you scroll down (in time, top being recent, to the bottom, which states your birth), things become more condensed. You can select a year and Timeline will show you what happened in your life in that year. You can also add images to your Timeline, along with other forms of content. The idea behind Timeline is that you can construct how your life can be viewed in a simple, single page. Also in Timeline is the ability to view a Timeline with only a certain form of content, such as images, or location over time, to better understand a person. Timeline can also include information from individual applications, which Zuckerberg pointed out are wildly popular with its users. The company argued that a summary of a user’s life is far more useful than a complete information dump. The third leg of the Timeline stool is the ‘telling of your life story.’ The company wanted to ‘make Timeline the place that you can call your home.’ To achieve that end, Timeline allows for the insertion of images, and the easy removal or addition of other information. Also included in Timeline are permissions to control who can see your page. Timeline required Facebook to develop a new type of application, and a new OpenGraph. Facebook introduced the ‘social graph’ at the first F8 event. The OpenGraph came last year. This year, Facebook took the OpenGraph and changed it so that a user can connect to anything. The company highlighted that it is moving from nouns, to verbs. By that it meant that instead of saying that ‘Alex likes Metallica,’ it could be said that ‘Alex is listening to Metallica.’ And so forth. This sort of content does not show up on a person’s News Feed. This ‘lightweight’ activity will land on the ‘Ticker’ display on the upper right new news feed that was recently introduced. This allows a music application to constantly keep the world informed as to what a person is listening to. Facebook calls the experience of finding out what a person is listening, or watching, or reading at the moment is ‘real-time serendipity.’ Applications that focus on music, TV, movies, books, and news will be up for this sort of development and use. This of course brings us back to the idea of what a person is doing, as opposed to what their preferences are. Obvious Twitter connotations and jokes should be avoided at this moment. Facebook worked with a number of partners. Spotify CEO Daniel Ek took to the stage to talk about what its company is doing with the new OpenGraph. The application that Spotify built was later praised by Facebook’s CEO. Netflix is also an announced partner. Oddly enough, in the United States, an old law will preclude Netflix from launching its app fully. A law in Congress is underway to update the regulation. More than 12 partners have been behind the scenes with Facebook to build applications that use the new OpenGraph. Social gaming is set to receive an obvious boost, as the Ticker will allow people to see what their friends are playing, and to hop in. Finally, Facebook had much to talk about on the topic of ‘lifestyle’ applications. Lifestyle apps that track what a person eats, where they run, and so forth, will track what a user does. This will allow users to see what they have eaten over the past year, and also post certain pieces of that data to their Timeline. The taco fanatic would probably like to share on their Timeline that they went to their favorite Mexican restaurant some 45 times in a year, for example. It is important to note that for all these forms of content, and applications, will sometimes end up on a person’s News Feed, and not simply their ticker. This occurs when several people are doing the same thing, such as frying their brain to the horrible show called Glee. There is an overarching goal of simplicity, allowing users to link an application to their Timeline once, and then use the application, and it will update in the background. For developers, integration into the Timeline and use of the new OpenGraph features revolves around what sort of information users will want to put on their Timeline. There are six ‘views’ that an application can employ, and users can sort, to allow for more personalization. Importantly, from today, nearly all applications that function with Timeline, will work on nearly every platform, including mobile. 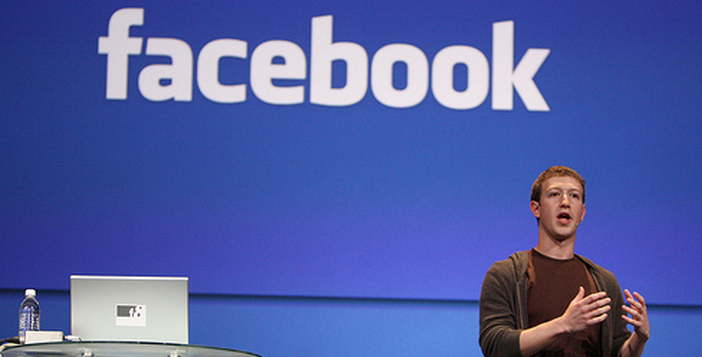 Facebook also explained GraphRank, the algorithm that allows the site to sort content. Also, application owners will be able to see information on what users like, and do not like, in their program. This will allow developers to tweak, and improve what they have built. Timeline will go live for developers today, and over time for other. OpenGraph will be made open for use as Timeline goes live, so over time. However, for the applications that were announced, the partner applications, should be live right now.